Whenever we speak to a stranger on the telephone, our perception of them is determined solely by what we hear through the earpiece. Whenever we talk to patients on the telephone, whether you are the appropriate person or not their perception of you and the Practice is determine solely by what they hear. On the telephone we are limited to using only 30% of our available communication skills, which means we must work ever harder than in face-to-face communications. What are the most frustrating things that can happen to you on the telephone? The telephone not being answered quickly enough – especially when the caller knows that there are people there at the other end of the phone. Encountering an incompetent telephonist who puts you through to the wrong extension, cuts the caller off whilst trying to transfer the call, or simply does not have the knowledge about who is who and where to reach them. Being left hanging on without an explanation or what is happening. Not knowing if they have been cut off or not. Being called at an inconvenient time and being assumed that it is convenient to talk. (Just because you start at 08.00 it does not mean that everyone else is up and raring to go at the same time! Always try to leave any phone calls to a respectable time – unless of course it is important and you need to phone immediately). I think that 10.00 onwards is a respectful time to call someone. Always ask the person you are phoning if it is convenient to talk. They perhaps might have someone there that they do not want hearing the conversation – or if on their mobile not be in a suitable place to talk. Being forced to answer a series of closed questions that does not adequately allow them to express their needs. The telephonist ending the call leaving things vague, thus leaving the caller uncertain as what is happening. Being greeted by a machine message rather than a person. As you have read through the list of frustrating things you more than likely have found some of them familiar and recognised them as being true in your experience. If so, look at them again and ask yourself “how many of these apply to me?” In other words how often do you do things that frustrate other people? Discuss at your next team meeting if there are any improvements you can make in your surgery. Ask your team – how would they feel if they were the patient – would they be happy with the service your practice gives! Agee action – and stick to it. Remember – treat people as you would expect to be treated. As a Receptionist read the scenario below and see what the potential problems are – and how confidentiality was could be broken. This is actually a true story. Every 6 weeks the Practice holds a vasectomy clinic. Normal Saturday morning surgery continues as usual. Patients for both clinics come along and book in at reception and take a seat in the waiting room all together. No one is aware that there are two clinics going on at the same time. Nothing is advertised to say that there is a vasectomy clinic taking place that morning. The Practice does it utmost to ensure that patients have privacy and confidentiality. The Receptionist places the usual order for sandwiches for the vasectomy clinic being held that day – she uses the back office telephone so no one can hear her in the waiting room. The person taking the order at the sandwich bar asks the receptionist “is that for the vasectomy clinic?” the receptionist confirms that it is. When the lady arrives with the sandwiches she goes up to the reception desk and says “ I have an order here for the vasectomy clinic”. The Receptionist thanks her and phones through from the front desk to the nurse in the clinic to come through and collect the sandwiches. Highlight what was done correctly – but more importantly highlight what could be potential problems regarding confidentiality and why? The Receptionist did the right thing in placing the order away from the front desk. She should have corrected the sandwich bar when they asked if it was for the vasectomy clinic – she should have given them a name of a member of staff as a contact name. Therefore not confirming that it was for the vasectomy clinic – but for a member of staff. Another problem it could bring is that the person delivering the sandwiches not knowing that they surgery is holding another clinic that day assuming that everyone in the waiting room was in fact there for the vasectomy clinic. They have been told in the past when a delivery has been made that it is for a vasectomy clinic. This should not have happened. Having a vasectomy clinic should not have been “broadcast” outside the surgery. The fact that there are two surgeries running side by side (normal Saturday morning surgery and a vasectomy clinic) could lead to misunderstanding! How? When the person from the sandwich bar came in and said I have an order for the vasectomy clinic – everyone in the waiting room could have possibly over heard and someone could jump to the wrong conclusion and assume that someone waiting to see the Doctor in the normal Saturday morning clinic could actually be there for the vasectomy clinic. 3. The person delivering the sandwiches may not know there are two clinics going on at the same time and could well live locally. She is likely to know people who are sitting in the waiting room. They might see a male patient in the waiting room and possibly jump to the wrong conclusion – and think that he is waiting on a vasectomy when in fact he is there to see the Doctor carrying out the normal Saturday morning clinic. What if the delivery person knows the man’s wife? She knows the man’s wife would be against him having a vasectomy! And she thinks that he is there for a vasectomy – can you see what sort of problems it could bring? Every single patient in your Practice deserves confidentiality – so give it a thought when next time you are giving information over the telephone. So, remember simply ordering a sandwich could break patient confidentiality. Always be aware of information that you are giving to outside companies. People need to be put on hold – more so in an environment where confidentiality is vital. Never just put a phone down on the desk and not put it on hold – the caller will hear everything. But it is the length of time people are put on hold for – and left wondering if they have been cut off. Ensure that callers are not left on hold for more than a couple of minutes before going back to the caller – apologise for the delay in putting their call through and ask them if they wish to continue holding – or if you can get someone to call them back. Give them the option. Does your organisation have music while they are on hold – a good way of the customer knowing that they are still connected and not been cut off. Choose your music carefully. If the caller has been waiting for some time and you are unable to put the call through take their details and tell them someone will call them back. Always remember to thank the caller for holding and apologise for the delay. People do not like being kept waiting in a queue – it can confuse the elderly, and can often cost people a lot of money if they are waiting on a mobile telephone. If your organisation has call holding do you monitor it and ensure that callers are not holding on for long periods of time. Screen the call before you put it through. Ensure that you have the correct information to enable you to pass the call to the correct person. People do not appreciate being transferred several times – ensure that you put the call through to the correct person that can deal with the caller. Often calls can be lost when being transferred. Try to avoid this from happening. Being alert whilst dealing with the telephone is vital. People do not appreciate heavy breathing down the telephone, sniffling, coughing or appreciate being spoke to by someone who is eating something at the same time. You should not drink whilst talking on the telephone either. If you have to sneeze, cough or something similar put your hand over the mouthpiece of the telephone and apologise to the caller when you return to the call. There is nothing worse than speaking to someone and they have a lack of interest in the conversation. A lack of interest can often cause to a breakdown in communication and the caller to be put through to the wrong extension – or worse still a message not being taken correctly. Also being asked to hold on whilst you speak to someone else – if you do have to do this apologise to the caller first before you speak to the other person – and then when you go back to the caller thank them for holding. Remember to mute the call – you do not want the caller to hear your conversation – remember confidentiality. No one likes to speak to someone with a bad attitude and more soto someone who is rude. Ensure that you are always polite and helpful – especially if the call could be a complaint – try turning the complaint in to a compliment – and this can be achieved by being polite and helpful. Some patients do not like answering machines – especially the elderly so avoid using these as much as you can. You will need to use an answering machine after surgery closes. Always ensure that your machine has a clear up to date message on it before you close for the evening. Repeat any telephone numbers slowly and repeat them twice. Do you use a answering machine at lunchtime if your surgery closes? If so, ensure that you check it as soon as the Surgery opens after lunch and deal with any messages left on the machine. Again ensure that the message lets your patients know when you are open again after lunch. Remember to have the appropriate messages on each evening and lunchtime. Also change your message every bank holiday – advising patients who to contact in the case of an emergency. 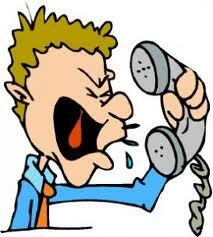 In today society voice mail is very much part of our working day – what would we do without it. But it has to be used correctly. It is no good putting a call through to a voicemail if you know that extension is not going to be there for some time ie days or weeks. Advising the caller first is the best option – explain that the person will be away for a while and ask if there is anyone else you can put them through to – OR if they are happy to leave a voicemail you can put them though. Do not just put the call through knowing it is going to go into voicemail. Ask the caller first. If there is another person that can help you can give their details/extension number but the Receptionists should be made aware of this. 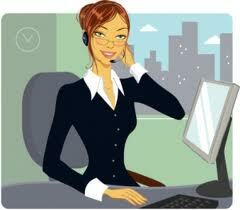 Ask for a name, telephone and brief message and if you say you will get back to them ensure that you do. And thank the caller for leaving their message. The reason why so many people do not like voice mails is not the machine – but the person behind the machine – when they do not communicate and leave the appropriate message on the phone. Another hate is when someone leaves a message and their call is not returned. If someone has been good enough to leave a message the least they deserve is a return call. What is your personal “great hate” in telephone calls? Name three things you can do to eliminate the great hates? Being on the front line you will often come across difficult people. It might be face to face or over the telephone. But the most important thing is you keep your cool. Do not rise to any argument . By keeping your cool it often results in the person apologising for their bad behaviour. Here are a few tips on how to deal with a difficult call. Always smile as you speak and the caller can hear the warmth of your tone. Let the caller let off steam, then find out how to help them – try not to interrupt. Be patient and offer apologies wherever possible. Ask short specific questions to obtain facts – never judge. Always take the name of the caller, the nature of the call and a contact telephone number. If in the event that you get cut off you can call the caller back – it won’t look like you have hung up. If recording a complaint always date, time and add your name and enter the nature of the complaint. If the caller wants to register a complaint arrange for them to receive a complaints form. Log the complaint (do you know if your organisation has a procedure for this?). Does another department need to be aware of the complaint? Inform a senior member of your reception team – give him/her a brief summary of what happened. He/she should then speak to the appropriate person often a complaint will come straight through to Management and if they are aware of the complaint it makes it easier to deal with. DO NOT TAKE THE CALL PERSONALLY – USUALLY A DIFFICULT CALL IS DIRECTED AT THE FIRST PERSON AVAILABLE. If the patient is booking their appointment in person at the reception desk always try and make an appointment convenient to the patient. Often if you give an appointment and it’s not convenient that the patient will either not turn up or phone to cancel and re book. Try to get it right first time. When you book an appointment at the reception desk always give the patient an appointment card – or put the appointment on a piece of paper. Often patients will “insist” that they will remember their appointment but quite often they will end up phoning to check when it is – or worse still not turn up. If the patient is making the appointment over the telephone again please give clear instructions on when their appointment is. Again repeat as above. If you don’t give the day (Monday) quite often people will get their date (16th) mixed up and often turn up the day before or after – this is quite a common thing especially some elderly people. People will remember a day rather than a date. When giving an appointment over the telephone always speak slowly and clearly – the person on the other end of the phone might be writing it down. At the end of the conversation ask if they are happy with the appointment – this will give them every opportunity if they are anyway unsure. Every Doctors Surgery and Hospital have a high volume of DNA’s (Did not attend) each day and every day through the year. Therefore it is essential to try and avoid any unnecessary misunderstanding over appointments. of birth). But please remember confidentiality at all times.